It is a rewarding experience to be given the opportunity to be in the company of another living thing. Being a pet owner, however, requires more than just loving your pet back. It takes a lot of responsibility to be able to show your pet that you care — every day. As a pet lover, you have to give your pet the best care that it deserves and be dutiful as well as being a good provider of all of your pet’s needs and Pet Care. Just like a mother learning how to nurse her baby and change diapers, a pet owner like you will need to learn new skills to make sure that your pet friends will be able to get the best TLC they can ever get from human friends. Before proceeding, you need to understand that all living things, including your pets, have basic characteristics and needs that need to be supported so that they can grow healthy and continue to develop to their full size and potential. Living things need food. Like you, your pets need proper nutrition every day to stay alive and to power their growth and development. Living things grow and develop. Pets grow from babies into adults. Some pets like dogs and cats grow considerably bigger over time. Living things move. Even when you need to lock up your pet whether for transporting or, for a daily basis, you have to make sure there’s ample room for your friend to move around. Living things excrete wastes. Your pets need to take a dump too. Dogs and cats can be potty trained. It’s important that you keep their litter box clean for their sake and yours too. You can use Repellent Sprays as well. Diapers are now also available for your pets for when you want to take them shopping with you. Living things reproduce. You have to think about whether you’d want your pet to have babies too, most especially if you’re taking care of a girl. Your vet will be able to help you make an informed decision about this. Living things respond to their environment. Your pet friends get disturbed by noise and heat as well, among other factors. When they’re uneasy, know that there’s a stimulus that they’re responding to. The better you can understand what drives your pet to behave a certain way, the better you will be able to support your pet. Living things respire. They need space not just to move around in but also to breathe. It can be as big as a room or, as small as a basket. What’s important is that they have a clean, warm, comfortable space where they can rest and not be disturbed. Here, it becomes necessary for you to decide whether you want to house your pets indoors or, make it stay outdoors. 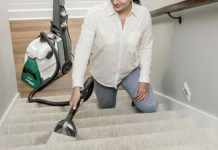 If you keep them indoors, you should take into consideration all the results that decision may have because you have to clean your house more, then you ever did. Of course, some pets need to be locked up too, like cages for birds and hamsters, and you still have to decide on a proper home design that will help adequately provide for their needs on a continuous basis. To minimize disturbances that may drive your pets to exhibit odd behaviors, make sure to locate their bed spaces where they can enjoy peaceful and quiet rest time too. It’s not enough that you feed your pets breakfast, lunch and dinner. You need to make sure that your pet is deriving the best nutrition that it can get to stay healthy. Like your diet, feeding your pet variety is generally good too but, you have to educate yourself about its diet. Some pets also do not respond well to some types of foods and you have to become aware of these as a responsible pet owner. Leave a bowl of water for your pet to drink from throughout the day. Avoid dehydrating your pets. They need water to stay cool and refreshed all day, most especially during the hotter months of the year. Your pets need to get physical too like you do. Promote the health of your pets by giving them plenty of exercises. Pets especially love the outdoors where there’s a larger space for them to move around. You can buy Pet Strollers for traveling together. Pets need to be vaccinated for your pet’s well-being and for the safety of everyone in your household as well. A vet will help make an assessment of your pet’s health condition and recommend any adjustments, if need be, to arrest poor health conditions or illnesses. This is a sure-fire way of cementing the bond between you and your pet. Since pets are social animals too, your pet will feel special getting your approval, and the positive attention of strangers as well. Your vet will be able to teach you how. There are also plenty of how-to guides available to run you through a few tips on how to go about this. Regularly have your pets take a bath too. It promotes hygiene and keeps them fresh and clean. Get your pets professionally groomed if you cannot groom them yourself. Cut away those lengthy nails and get those shaggy furs cut or shaved. Make them stylish! Buy different pretty things for your darling, such as collars, hats, clothes. Taking accountability for pets is a tall requirement that responsible pet owners sign up for. If you think you are incapable of providing any of these basic needs, you should either learn how to provide these things first before getting a pet or, you should just forget the whole idea. Remember, no time is never an acceptable excuse not to give your pets the premium care that they deserve.